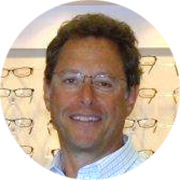 Fine & Park LLC are part of the Park Optical family. We are a third generation family business based in Kingston, N.Y. We offer 50 Years of state of the art optometric care, and Hand Crafted Solutions for your eyewear needs. Our mission is to maintain the lifetime loyalty of our patients through dedication and commitment to excellence in eye care. Taylor Madison Frame Line: Taylor Madison Eyewear believes in giving back to those who are less fortunate. Buy one and give one to those who are in need. Having your eyes examined regularly not only helps to protect healthy vision, but can also spot early signs of high blood-pressure, diabetes, heart disease, and several other illnesses. We will help you find the perfect frame. Choosing the right style for you is based on the shape of your face. Stop in and one of our licensed opticians will match you with your perfect pair. Our team of skilled practitioners are the key to delivering memorable experiences to our customers. We will help you choose the lens that fits your individual needs and the frame that perfectly accentuates your individual style. 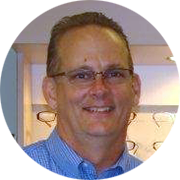 Graduating from Erie Community College in 1981, Michael immediately began working at what was then called Park Opticians. Founded by his father Robert J Richmond in 1959. In 1995 Robert retired, passing the torch to Michael who took over as owner. Since then, he has continued to grow and modernize the company to keep up with the ever changing technologies and fashion trends. Dr. Fine has been practicing in Kingston, NY for over 30 years. He did his undergraduate education at SUNY Oswego, and then went on to get his Doctor of Optometry degree at the New England College of Optometry in 1976. He is also a graduate of the Gessell Institute of Child Development “Vision of the school age child”. In 1980 Dr. Fine received the Optometric Recognition Award. 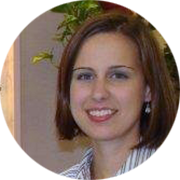 Dr. Mary O’Hara graduated in 2002 with a Bachelor’s of Science degree from Rowan University in Glassboro, NJ. She received her Doctor of Optometry degree from the Pennsylvania College of Optometry in Philadelphia in 2006. Dr. O’Hara completed a residency in ocular disease at Omni Eye Services in Atlanta, GA and is a member of the American Optometric Association. “Park Optical is la creme de la creme, the best of the best !!! Yes. Park Optical participates with most major eye care insurers including, VSP, Eyemed Blue View and many others. We also offer Care Credit, which is a 6-12 month interest free credit card that can be used to pay for Eye care , Eye wear, and several other health related expenses. Can I bring in my own prescription? Yes you can. We also offer eye exams by our excellent doctors, for your convenience. This is handy for those times when your prescriptions have expired. Can extended computer use hurt my eyes? More than two hours per day on the computer may causes eye strain and computer vision syndrome. About 70% of computer user suffers from computer vision syndrome. Should I get glasses or contact lens? Most common vision problems can be corrected with either eyeglasses or contact lenses. Both have their advantages and disadvantages. Stop by to discuss your daily activities so our experts can suggest the best option for you.